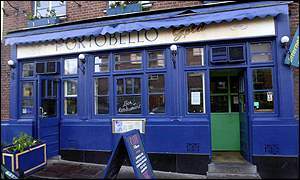 I’m in London working for a couple of weeks, staying at a bed and breakfast over a quaint pub called Portobello Gold. 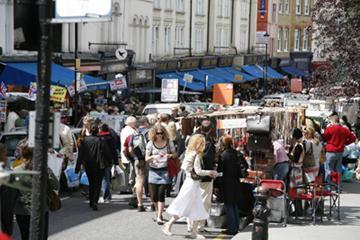 As the namesake may indicate, I’m staying right in the heart of the Portobello Market, just off of Notting Hill. Every morning, I walk through the market to work. Being jetlagged, I’m up early as vendors are setting up their stalls. They hustle, moving fast and deliberately. They arrange their goods with confident familiarity. Many have cigarettes dangling from their mouths, with grimy faces and hands from the manual work. The cheery laughter fits the early morning atmosphere too. People are working together to get set up. Teamwork always brings about laughter. It’s like we humans love the validation that we are always more successful as a team than as individuals. Whether you are a vendor here in the Portobello Market, the Pike Place Market, or working as an employee at a global corporation, teamwork gives us connection and better results. Think about your most fulfilling times. I bet it was being “part” of something special, a sense of group accomplishment. That is why I’d rather have three smart but cooperative persons working on a problem, than three brilliant, high-IQ persons who don’t know how to work in a team. In other words, I value people skills as much as IQ when building a team. My walks through the market just re-enforce this belief. I quite enjoy this walk each morning so far. This area has a lot of London charm. And the aroma from European bakeries along way, well, that’s just unforgettable. Pain au chocolat anyone? Posted in Management, Travel and tagged London, portobello gold, portobello market, teamwork, Travels. Bookmark the permalink. How Many Persona’s Are You?